Pacific Rim 2: Is The Sequel Still Happening? Hey, Hollywood? Where is that Pacific Rim 2 we were promised? UPDATE: Guillermo Del Toro updated us on the progress of Pacific Rim 2, saying that he is hard at work on a "secret" screenplay draft with Zak Penn. 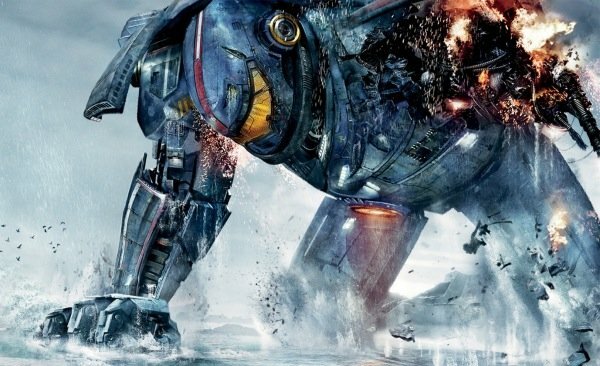 So it sounds like Pacific Rim 2 is happening! Celebrations for all! FROM EARLIER: OK, we weren’t exactly promised a follow up to Guillermo del Toro’s combative, pulse-racing monsters-versus-robots blockbuster Pacific Rim. But movies that earn $411 million at the global box office tend to get a sequel. Movies that charm the critics (71% Fresh on Rotten Tomatoes) tend to get a sequel. And movies that have the writer and director blatantly talking about ideas for a sequel tend to get a sequel! So where do we stand with Pacific Rim 2? The original Rim hit theaters in July 2013, introducing an alternate future where Kaiju creatures emerged from our planet’s oceans, threatening our major cities. Once mankind realized these beasts weren’t going away, we came up with a way to fight back. We created skyscraper-sized robots called Jaegars, and trained pilots to use them in battle. And the program worked… for a while. At the time of Pacific Rim's release, Del Toro – no stranger to sequels, having helmed two Hellboy movies – didn’t shy away from the sequel question. Pacific Rim screenwriter Travis Beacham teased fans by saying he hoped the movie earned enough money to justify Pacific Rim 2, because he and Del Toro had crazy idea. We were told that China was a crucial market to the success of Pacific Rim 2. Then, the film performed well overseas, and in August, Pacific Rim 2 looked likely. Seven months later, Del Toro and some of the key players finally are talking. "I was literally just with Guillermo on the set of Crimson Peak. We talk about it and have some pretty great ideas. If they come to fruition and we get a great script, then we're open to it. Fans seem pretty passionate about it and working with Guillermo. So, we're open to it." That backs up a conversation Del Toro had in October, where he told IGN that he was working on the screenplay for a Pacific Rim 2 with Beacham, but the power to greenlight it wasn’t his. We are writing the sequel. Travis Beacham and I are writing, so that is active. The decision to green light or not, that’s definitely above my pay rate." Legendary gave me the absolute go-ahead with writing the screenplay, so Travis Beacham and I are working on it. As far as giving it a green light, that's the big step of the process. We need to put together a budget and then they'll make that decision, but everybody is unwavering in their love for the movie." Now that Legendary has said that they are open to it, however, the wheels should turn even quicker. The hold up might be attributed to Del Toro’s Crimson Peak, a horror thriller he’s currently filming with Tom Hiddleston, Jessica Chastain and Rim star Charlie Hunnam. Beyond that, his name has been attached to a Pinocchio reboot, and a DC adaptation of Justice League Dark. But as Legendary prepares to launch a new Godzilla, and audiences’ attentions continue to focus on beasts emerging from the seas, you get he sense that Pacific Rim 2 is inching closer and closer to the production pipeline. Maybe even that crossover story we once imagined. Our fingers remain crossed.